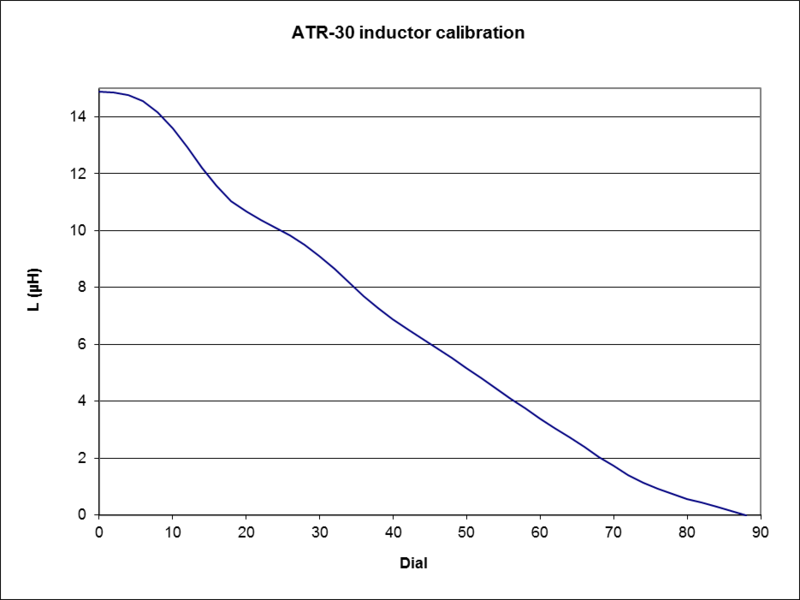 The following documents measurements made on an ATR-30 and forms a record for experiments using the ATR-30. 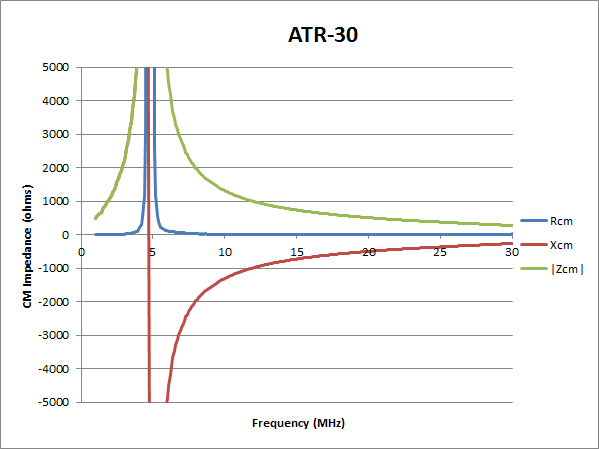 More interesting is the inside, Fig 2 shows the interior of the ATR-30. 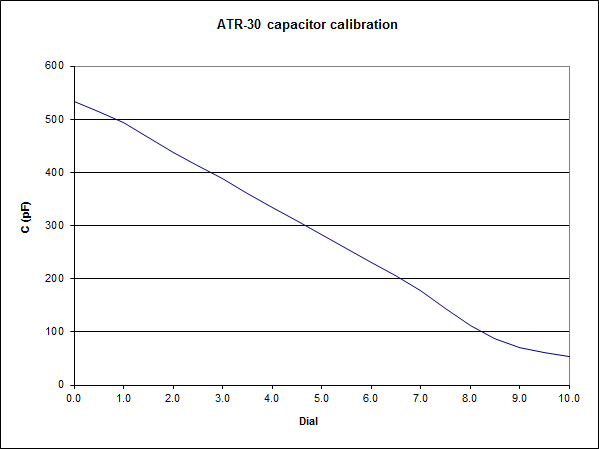 The ATR-30 uses a pair of air-spaced capacitors of nominally 500pF. Fig 3 shows a cubic spline fit of measurement of the capacitor in-situ at 10 equally space settings of the dial on the antenna side variable capacitor. 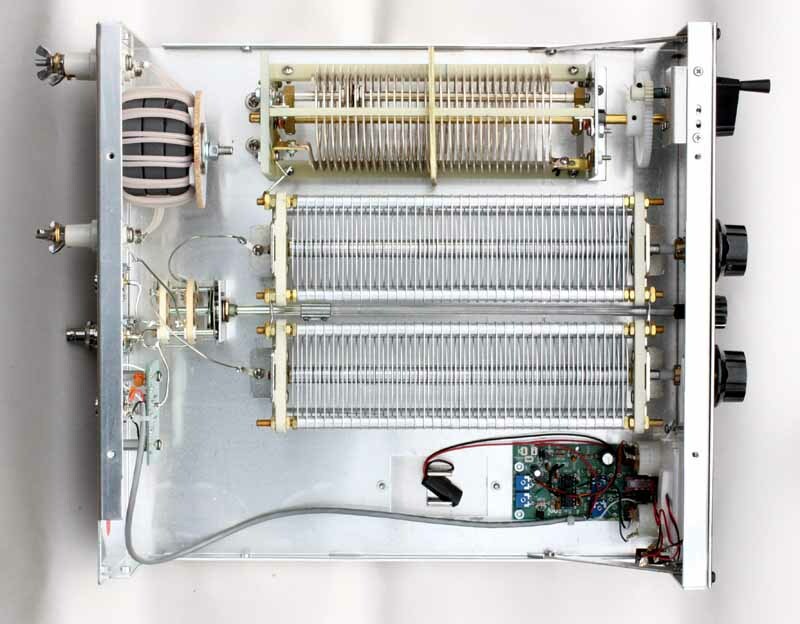 The capacitor was isolated from the other circuitry as much as possible using the main switch, and measurements were made with the cover removed and using a LCR meter at 100kHz. The transmitter side capacitor was indistinguishable. Capacitance decreases with decreased dial reading. Fig 4 show a cubic spline fit of measurement of the in-situ at 11 equally space settings of the dial. The inductor was isolated from the other circuitry as much as possible using the main switch, the capacitors were set to minimum capacitance, and measurements were made with the cover removed and using a LCR meter at 100kHz. Inductance decreases with increased dial reading. Fig 5 shows the measured common mode impedance (Zcm) of the balun+ATU in situ. Efficiency was measured when matched to a 50Ω dummy load. Power in and out were measured using an LP100A wattmeter. The table above shows the results of the efficiency measurements. The table above shows the interpolated input C and L, efficiency, and the implied coil Q assuming that almost all loss is in the coil. 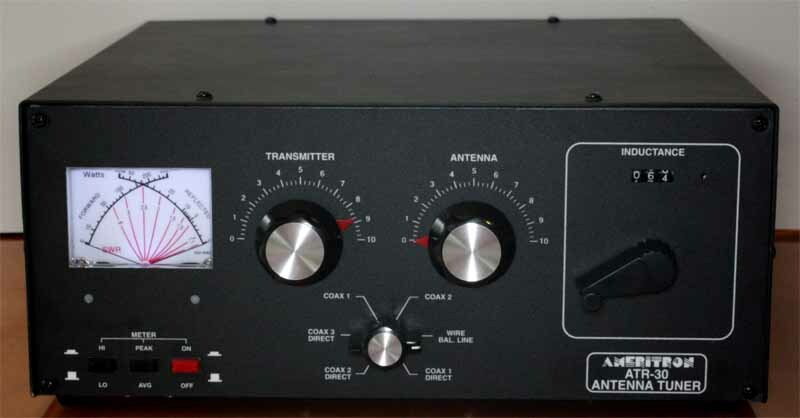 The performance on 7MHz was surprising, but measurement at some other combinations of C, C and L indicated that the figures reported were the best available efficiency. Coil Q will vary with frequency, but for the roller inductor coil, Q will vary with the tapping point. The low indicated Q at 7MHz is possibly the result of the dimensions of the active part of the inductor (about 3-4 turns)... these are not proportions for a high Q inductor. The loss might seem insignificant, but consider that for the load scenario measured at 1.8MHz (a fairly ideal one loss wise) that at 1kW of RTTY input, 90W will be lost as heat in the roller inductor... or about 3/4 of it that is in use. It is not designed to dissipate 90W. Efficiency on other loads will differ. In particular, efficiency on extreme loads often used on the lower bands may be much worse, less than 50% for some practical scenarios and the risk of damage to ATUs during tuning processes becomes real.